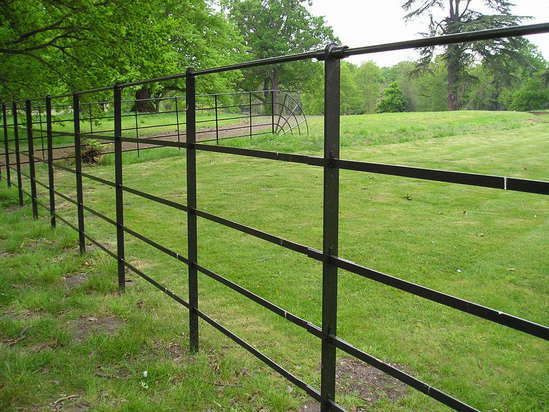 Keynsham Forge supplies quality wrought iron Park & Estate Fencing throughout the South West of England. Prices from £13.50 per metre and we will not be beaten on price. Our Park & Estate Fencing and gates are ideal for large estates, private gardens or amenity areas and provide a classic break between formal gardens and wilder areas. All of our Park & Estate Fences are made in England by our skilled craftsmen. Traditional Estate Fencing is an investment, it adds structure to your property and delineates views in a classic, stylish way that has been enjoyed since Victorian Times. Keynsham Forge Park & Estate Fencing adds value to your property – do it once, do it well ! 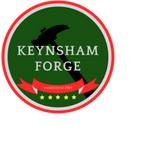 Keynsham Forge will match any other genuine quotation, we operate in the south-west and we will not be beaten on price. A specialist installation team is required to erect the wrought iron fence. Our wrought iron fences need welding and painting on site, this provides a solid, attractive and durable fence that will last for over 60 years.